The one-light large LED cord hung pendant/outdoor hanging lantern from the District Collection features metal shade that offers an industrial-inspired design. Available in incandescent and LED versions and are dark sky compliant. The versatile vintage form can be used in indoor and outdoor applications. Elongated frames capture the romantic charm of vintage gas lanterns. Inspired by a stroll down a Charlestonian street bearing the same name, the Gibbes Street outdoor lantern collection features clear beveled glass and an Antique Bronze finish. Wall, post and hanging lanterns complete the family. 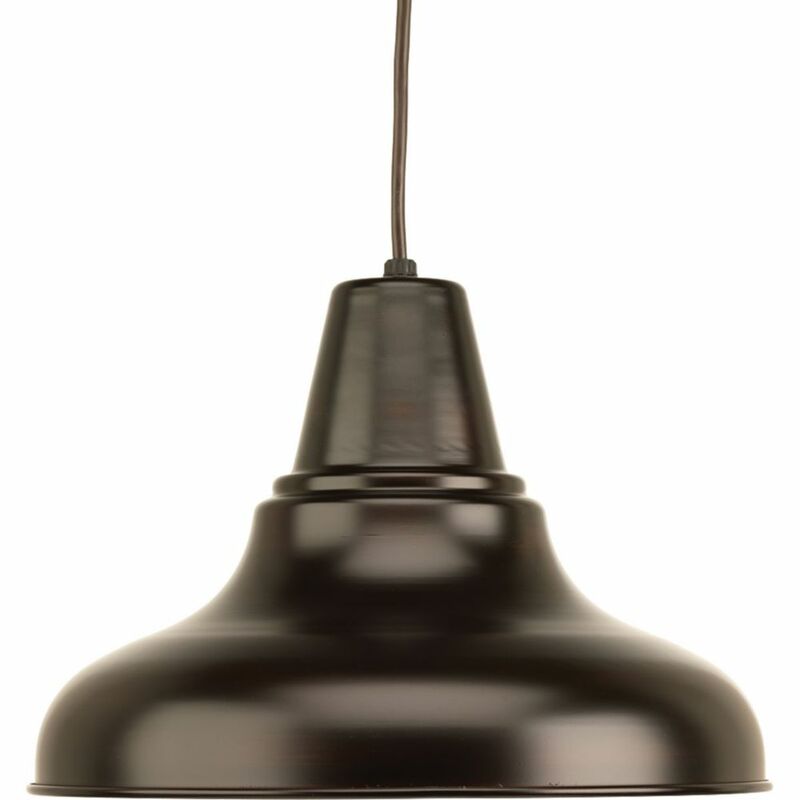 District LED Collection 1-light Antique Bronze LED Hanging Lantern The one-light large LED cord hung pendant/outdoor hanging lantern from the District Collection features metal shade that offers an industrial-inspired design. Available in incandescent and LED versions and are dark sky compliant. The versatile vintage form can be used in indoor and outdoor applications.